In 2014 Elite Cabins and RV Park started construction on their expanded facility and campgrounds. With a focus aimed at offering people an alternative to the higher-priced motels in Big Spring Elite’s owner worked to offer guests more of an apartment atmosphere rather than just a motel room. After many weeks of laying out how the RV park and cabins would set, and how the cabins themselves would be designed, demolition and initial grading was started in early January of that year. Now, just two years later, Elite’s cabin rentals, RV Park and clubhouse offer some of the most affordable, yet inviting, lodging and accommodations in and around the Big Spring Texas area. We invite you to experience why so many travelers through the area are now choosing Elite Cabins and RV Park for their extended lodging needs. We simply hope to be your home away from home; providing a comfortable and secure stay while in . In 2013, when the property was purchased the land had an existing drill rig building in the location where the clubhouse now sits. 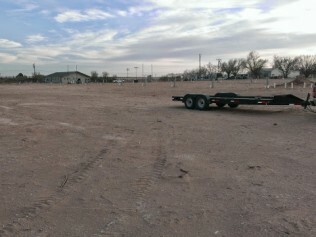 The owner, from Colorado, set up a trailer in the middle of the dirt field that is now Elite and began to direct all the demolition and grading. After first grade, the Waterline, Gas, Sewer system, Cable TV and Electrical lines were placed into the ground. 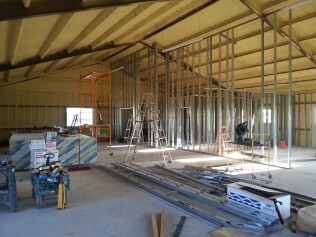 Once the entire infrastructure was placed underground and the shell of the Clubhouse was built the second grade began. 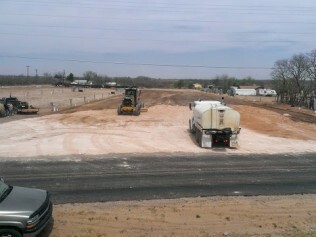 The soil was entirely sand and so hundreds of truckloads of Caliche, (Texas gravel) was put down over all 5¼ acres. 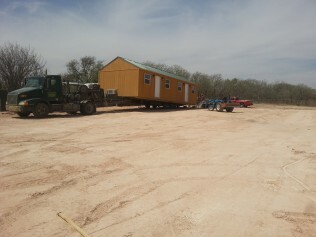 Once the Caliche was placed the owner began, over time, placing his cabins on the property. All the cabins were then fitted to the infrastructure. On every cabin, skirting was installed, stairs were built, Wifi, high speed Internet and electrical was charged and all the cable TV connections were made. Then the interiors of the cabins were filled with furniture. 72 Full size beds were assembled after arriving from California. Then 36 - 40” TVs were placed as well as dining room tables and chairs assembled for all the cabins. The clubhouse which was built early in the construction faze of the project began the work of becoming an integral part of the Park. The Clubhouse at 3,000 square feet was built so that customers that stayed at the park would have a nice place they could go to get out of their trailers and cabins and enjoy some comfort of a home environment and to meet their neighbors. Even the pitch of the roof was made steeper to make the building look more like a home than a commercial building. With hundreds of thousands of dollars spent the Clubhouse contains a Laundromat, Pool tables, 3 full tiled showers for both men and women, Vending machines, Fireplace seating with big screen TV viewing, a Wifi Café and last but not least a complete fitness room. The last project that the owner wanted to complete for his customers was the ability for RV owners to have a Propane filling station on park premises so that customers did not need to leave the park to have their tanks filled. 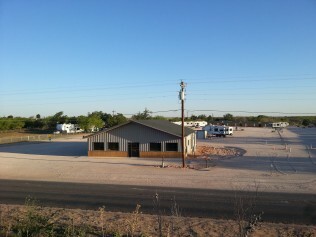 In all stages of the parks development the owner thought about how to make this RV Park one that people would come back to if they found themselves again in West Texas. 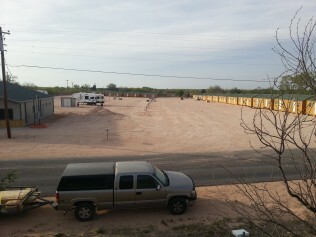 We hope you will agree this is not the average in an RV Park but a place you could call, your home away from home.